The Victorian city’s transport officials are considering the impact of congestion and vehicles, with the number of people using the CBD grid expected to climb from 900,000 to 1.4 million by 2036. 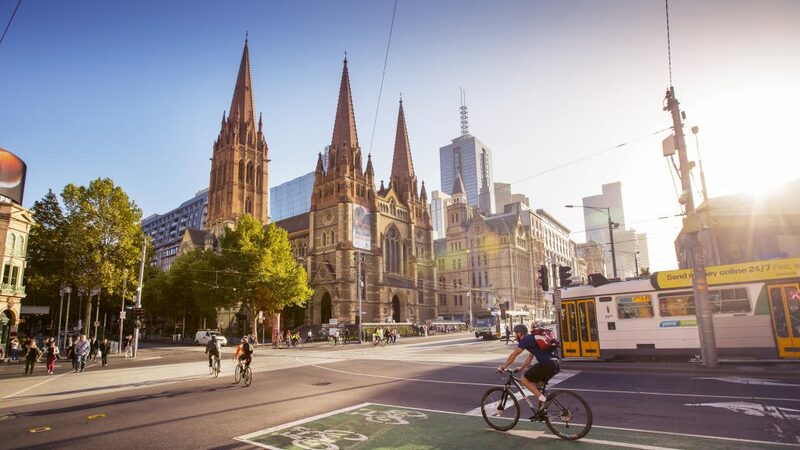 Discussion papers released by the City of Melbourne have highlighted concerns relating to space, safety, congestion, pollution and cost when people choose to drive in the city, according to The Urban Developer. Central Melbourne currently dedicates 460 hectares of space to parking, with 57% of street space in the municipality taken up by roads and 4% on-street parking. Council Transport Portfolio Chairman Nicolas Frances Gilley argued that staggering population growth coupled with increased congestion meant major changes were needed. “Our ambition is for a beautiful, liveable city where people can continue to enjoy all that Melbourne is famous for, our tree-lined streets, pedestrian thoroughfares and outdoor dining,” Gilley said. While driving creates congestion the issues continue once a vehicle is stopped, with major cities requiring a rethink on efficiency and optimisation. “We need to optimise our city streets for people walking, cycling and taking public transport because that is how the majority of people move around and it’s the most efficient way to move large numbers of people as our population grows,” Gilley said. The papers argue that spaces should be used for wider footpaths and bigger tram stops to more comfortably accommodate passenger increases. Another issue identified is the inequality of car usage. People on incomes over A$156,000 are more likely to drive to work but are also more likely to live in areas well-serviced by public transport. Around the world, large-scale infrastructure changes are taking place. In San Francisco a dynamic new pricing system has been implemented for on-street parking – resulting in a 50% reduction in drivers. New York and London have also decreased dependence on cars after converting major road space to pedestrian zones and bicycle lanes to improve safety and decongest the cities major arteries. It also suggested that streets in the CBD grid be reduced to one lane each way, with the spare lanes being converted into space for cyclists, pedestrians and public transport users. A draft Transport Strategy will be released later this year.